I just had two really fun weekends in a row, alhamdulillah. I laughed a lot, witnessed beauty, enjoyed good eats, and was surrounded by people I love. But what no one could know is that there is another level of gratitude that emerges on Monday morning. It is the gratitude that flows from the remembrance that I am not who I used to be. 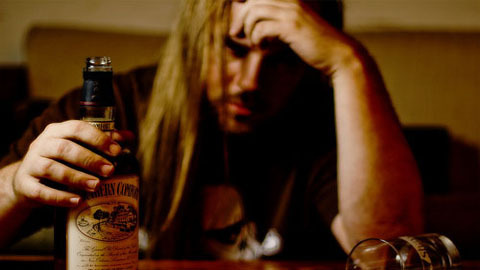 In the past, on weekends like this, I would have craved drinking beer, wine, and whiskey to the point of intoxication. It was an aspect of my personality that emerged pretty early on in my life, and was incredibly difficult to remove. For years, the desire would well up inside me, to the point where I could not appreciate where I was or what I was doing, because what I really wanted was to get drunk. I deeply enjoyed the seductions, psychological unfoldings, and comical happenings that came with being mentally and morally loosened. I also loved the raw feeling of it, as the body became more numb to pain and yet more sensitive to pleasure at the same time. But I left it, because that is what a Muslim is supposed to do. And I was angry at God for asking me to leave something I loved. As I mentioned in something I wrote for converts: “[they go from] being angry at God for asking them not to do something that they are inclined to do, to asking God to remove the desire for it from their life, to not doing it with great struggle, to finally being granted freedom from this particular personal failing by God’s grace.” And so on this particular Monday morning, I am reminded of the fact that the last two weekends were everything that they were without alcohol, or even the desire for alcohol. Alhamdulillah. I am deeply grateful. I think of all the family and friends who supported me over the years in this struggle and didn’t even know that they were doing so. Their joy at living alcohol-free helped fill the emptiness I felt without it. Their ability to be around people drinking without giving in to the temptation was proof that I didn’t have to be controlled by my desire. Their lifetime of having fun and relaxing without needing chemical assistance was inspirational and comforting. If I didn’t have these people in my life, I don’t think I would have made it. I am also deeply grateful that I know now, in the most visceral of ways, that I can change. There was a time when not being overwhelmed by the craving seemed impossible, especially when it became so strong that it blotted out my ability to focus on anything else. And now, as if a living miracle, that feeling is just a memory. And it is a memory usually forgotten, only occasionally unearthed on mornings like this to deepen my gratitude. It is like waking up from a dream where you made a huge mistake and everything went wrong, and you breathe an inexpressibly deep breath of freedom when you realize it was all just a dream. Every time I remember, it is like waking up all over again. Alhamdulillah. Everyone has different struggles. I share this one because I think it is paradigmatic. The more we love something, the harder it is to give it up if necessary. Actions normally spring from desires, and when desire is strong enough, we will act even when we know we shouldn’t. The first step to victory over a desire that encroaches on God’s sanctuary of prohibitions is being able to restrain oneself physically. Just don’t go to the store and buy a bottle of whiskey. But winning the battle doesn’t mean the war is over. For many, it is still raging in our hearts, because controlling actions is easier than subduing desire. And the most valuable thing I learned from my struggle with alcohol is that I can defeat my own desires, if that is what I have to do. May Allah make the path to Allah easy for all of us, and wipe away the tears we have shed in our struggles, and may the happiest times we have ever felt on earth feel like a dream when we wake up to a world with bliss beyond description, by the mercy of the Most Merciful, amen. I left alcohol more than a decade ago. it was difficult for me as my life then revolved around hard partying, socializing etc. 6 months ago, i quit smoking after 20 years of chain-smoking. Syukur I am feeling very healthy, energetic etc. it is not easy but u can do it too like everyone else. and the best of all, my kids can now enjoy smoke free environment,,, i wish u all the best! This is inspiring- if you look at the bigger meaning here, it’s about overcoming desire for a bigger, better purpose. Great read! Very inspirational read, thank you and may Allah bless you. Salam, we are interested in re-printing this piece on our site http://www.altmuslimah.com.. Please do contact me. Thanks! Thank you for your honesty and generosity in sharing your personal journey, Dave.